We are learning our times tables for the last time. 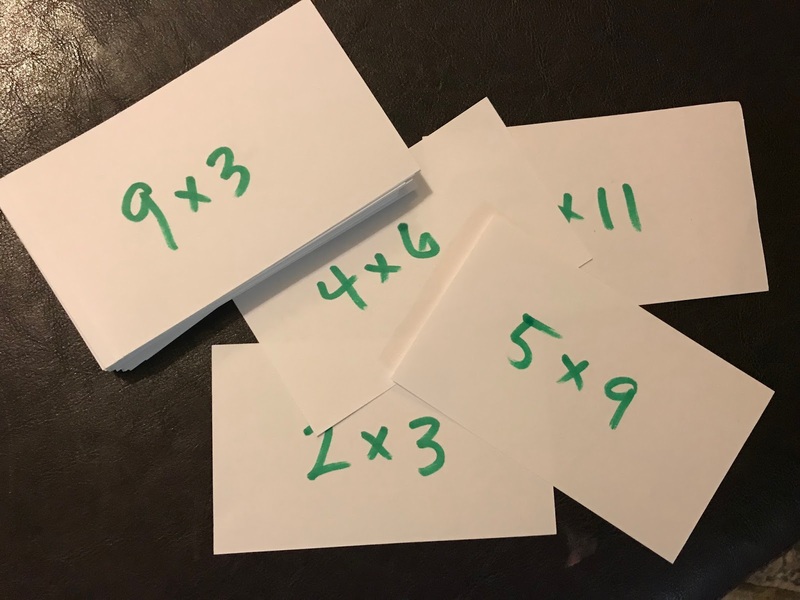 The next time through multiplication, I inventoried our missing flash cards and made a few replacements out of durable cardstock. They had all disappeared by the time we moved to Bellingham. This time around I wrote with a Sharpie, on cheap notecards bought in bulk. But first I consulted with my son’s teacher about flash card strategy. We started with the comforting times tables – 1, 2, 3, 5, 10 – and gradually added new numbers as Oliver’s confidence and accuracy improved. As I’ve previously described, Daniel Kahneman’s book Thinking, Fast and Slow explains how our brains rely on two contrasting mental processing systems, which I've referred to as Thing 1 and Thing 2. Thing 1 is fast and automatic, multi-tasking as it retrieves memories and generates intuitions. 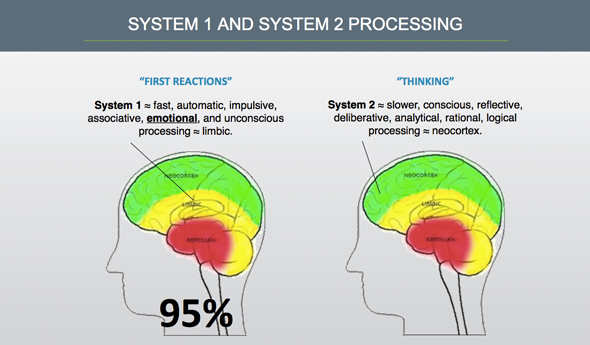 In contrast, Thing 2 allocates our brains’ limited conscious attention to effortful mental tasks. I can see both Thing 1 and Thing 2 at work as I flip through flash cards with Oliver. Most of the time he retrieves the answers automatically. Even if he doesn’t respond immediately, he’ll still figure out the correct answer eventually – but I get to watch him as he counts on his fingers and mutters under his breath, or asks me to remind me of his recent answer to a similar problem. Over time, more and more functions become automated by Thing 1, and he no longer requires Thing 2 to intervene. When my daughters finished up their multiplication flash cards a few years ago, I watched them struggle to master the same last few stragglers – 6 x 9, 7 x 8, etc. I realized these were the same functions I had to stop and think about myself. I don’t know if they never stuck, faded over time, or were replaced with something more useful. But now that I’ve learned more about how the brain works, Thing 2 and I have accepted the limits of my own Thing 1. Are you and your children able to memorize the times takes without having to stop and count them out or use fingers, etc? I find it is really helpful the more students can have "instant recall" with their times tables. All, from 3rd grade to seniors in high school, should be instantaneous with answers of basic things tables. Spell check, sorry... "Times tables" not times takes and again at the end, "basic times tables" and not basic things tables. As a Jr high and Sr high math teacher, I find that the more a student struggles with basics, the more they struggle with more complex concepts. And, the more they have the basics down and are very fluid with them, the easier the harder concepts come for them. I hoped this makes sense.